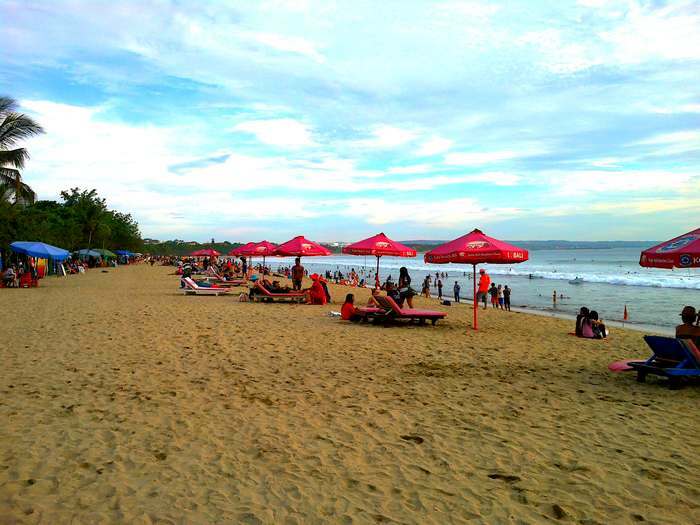 Kuta Beach is a famous tourist area in the world with an abundance of charm and beauty. Enchantment of the afternoon when the sun is beautiful, is when most tourists come in later to Kuta Beach, Bali. 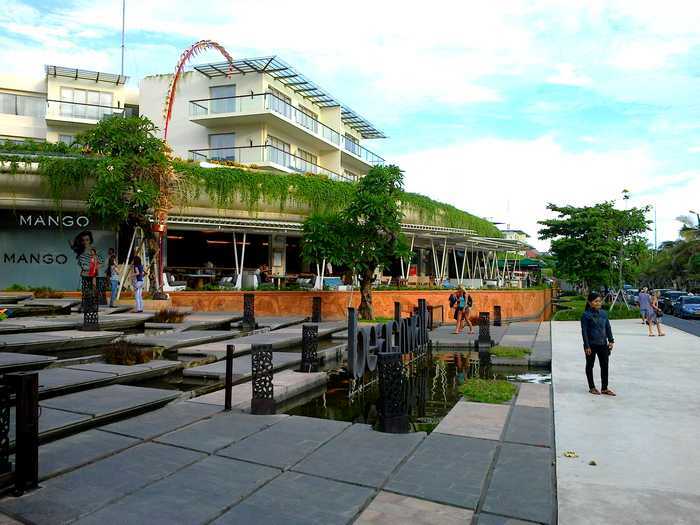 Many entertainment and shopping area, will spoil people who come there. 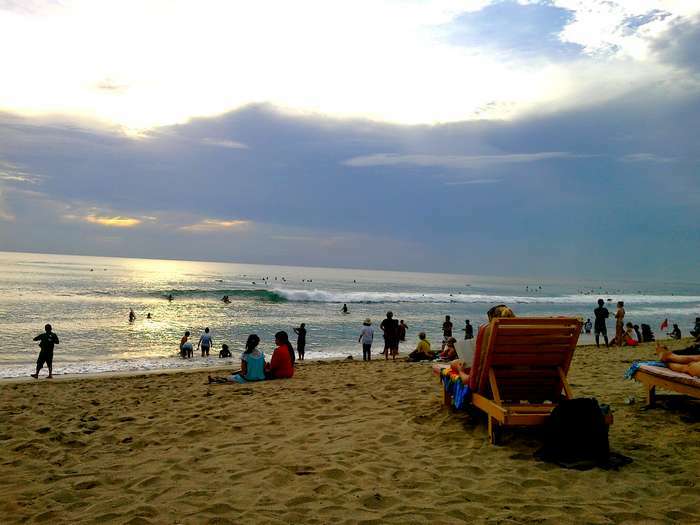 Because it is so well-known a lot of people want to come to Kuta. 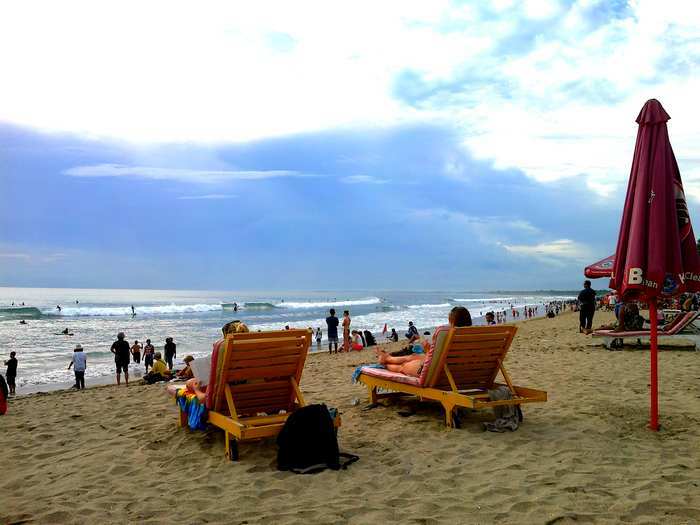 There is an assumption that came to Bali would not favor it if it is not to Kuta Beach. Enjoy a world-class atmosphere with various echnical and tribes come together in this beach. Kuta beach is white sand. Although not as white as cotton, but its beauty is not invincible to the famous beach in Boracay. Although sometimes in the wet season that covers a lot of garbage on the beach of white sand, which is carried by the flood in the river from upstream. But local government swiftly perform cleanup on the beach, so the beauty will not fade. 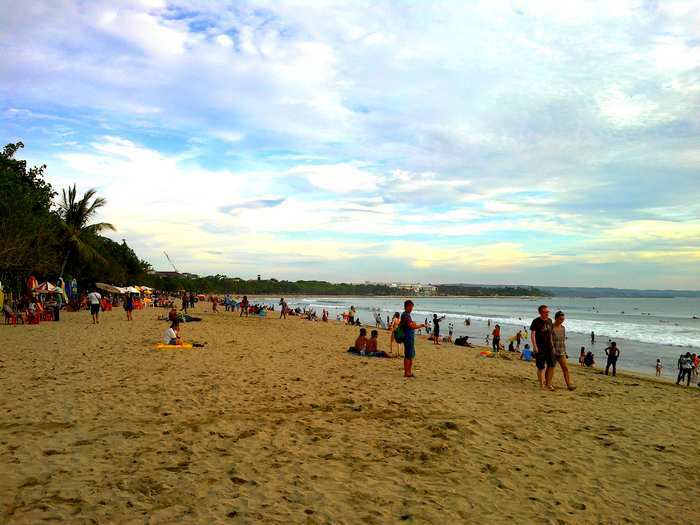 Afternoon at Kuta Beach is the most awaited by tourists. Atmosphere by a fresh sea breeze blows, making a very pleasant seaside atmosphere. 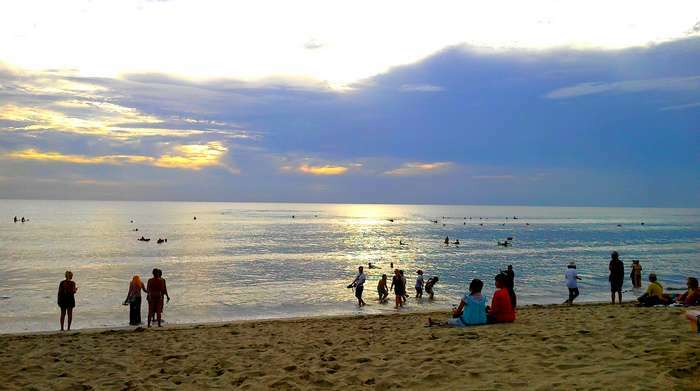 Many travelers who take advantage of this environment to play and joke in the white sand, while playing water and sand play. Sunset at Kuta Beach is very beautiful. Yellowish red, giving the feel of a very pleasant cool. Its beauty is highly anticipated by tourists who were sitting on the beach relaxing. Enjoy the waves, he saw plays surfer board surfing. People who walk around on Kuta beach. The twilight atmosphere was festive at night when cafés and restaurants around Kuta beach music sounds accompanied by the DJ. When night around Kuta Beach, the bustling and sparkling shades. Music in the cafes, bars, restaurants and discotheques sounded very loud. The singers vying with each other in the cafe as deliver performance that is able to attract the tourists that pass. More and more enjoyable evening and getting crowded.